Built in 1912, a carefully restored home that boasts almost a 2000 sq ft immaculate addition. This restoration includes many of the homes original turn of the century architectural details and character. Hardwood floors to 10â coffered ceilings, to extra large windows, columns in between the formal dining room and the first sitting. 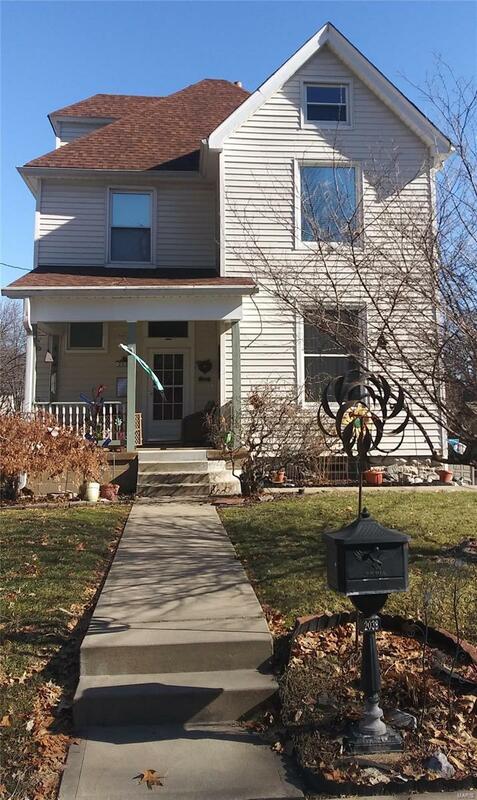 This homesâ first floor features a lovely foyer, two generous seating areas, a large eat in kitchen as well as a formal dining room and a half bath. Two doors at the back of the house leads you to the large composite deck and steps outside to the back yard. Second floor has three bedrooms, an office, laundry room and two full baths. The 3rd story attic could easily be turned into another large room. There is a walk-out basement has a stone hearth with gas fireplace with a remote control. The 2-car is heated, well insulated with overhead storage and a remote control garage door opener. 3rd story is a partially finished attic. Great neighbors!